This student-curated exhibit follows the extraordinary journey of eighteenth-century naturalist James Bruce (1730-1794) as he endeavored to discover the source of the Blue Nile in Ethiopia. Bruce’s expedition took us through the Iberian Peninsula, the Levant, and the Barbary States, eventually leading us into Egypt, Axum, Gondar, Lake Tana and the holy streams of the Gish Abay in Ethiopia. We also explored figures that were essential both to the journey of James Bruce, as well as the history of early modern Europe and Ethiopia. These included: the fictional Prester John, Job Ludolf and Abba Gregorious, Francis Bacon, James Cook, Carl Linneaus, Comte de Buffon, Ras Maka’el, and Məntəwwab, the Dowager Empress of Ethiopia. 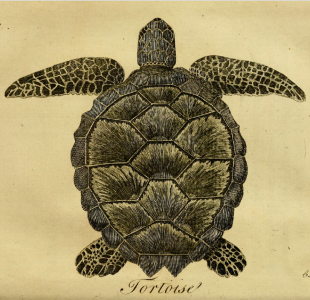 Using the extraordinary resources in W&L’s Special Collections, including an original copy of Bruce’s “Travels to Discover the Source of the Nile” (1790), students explored topics such as early modern scientific expeditions, classification and taxonomy, print culture, race in the scientific imagination, popular geography, early museum collection and organization, and the complicated reception of Bruce’s narrative upon his return to Europe. We also worked together to recreate 18th century research methods, including constructing a camera obscura and collecting local botanical specimens on W&L’s campus.